I have owned at least five waffle makers prior to testing this one - maybe more. Which is crazy, considering that I don't make a lot of waffles. But when I want waffles, I want good waffles. My first waffle maker bit the dust when the non-stick coating flaked off. One other simply stopped working. But the major disappointment for all of them was the uneven cooking. I always ended up with uneven or spotty browning. I could do better with frozen waffles and a toaster. The Breville Smart Waffle Maker ($199-$249) is the first waffle maker I've owned that can cook waffles evenly, from edge to edge and corner to corner and top to bottom. And to make it even easier, it has settings to control the lightness or darkness of the waffles, so there's no need to keep opening the waffle maker to see if the waffles are done. I tried the waffle maker with a range of boxed (Krusteaz) and home made waffles and every batch was evenly browned and came out of the waffle maker with no sticking and very little cleanup. 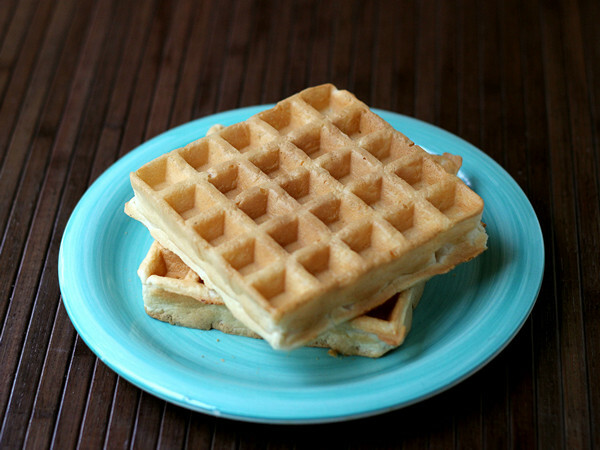 I cooked single waffles, pairs, and all four, and the browning was always consistent. The messiest thing I cooked was a grilled cheese sandwich. It sounded like a good idea, but in reality, a lot of the cheese oozed out of the sandwich, so the cheese-to-bread ratio was a little thin on cheese. But, I scooped the melted cheese out of the waffle-moat and had a little snack. So it wasn't a complete waste. The downside of this unit is that the waffle plates aren't removable for cleaning, but perhaps that's the trade-off for even browning. Unless you're cooking stupid stuff in the waffle maker like grilled cheese sandwiches, there's not much to clean up. While the price is on the high end of the scale, this waffle maker is built like a piece of serious machinery and should last many, many years. If I had bought this instead of that first waffle maker - and all the subsequent ones - I would have spent less overall. As far as reliability, I have a Breville sandwich press that I've owned for 15+ years, and it's still going strong.